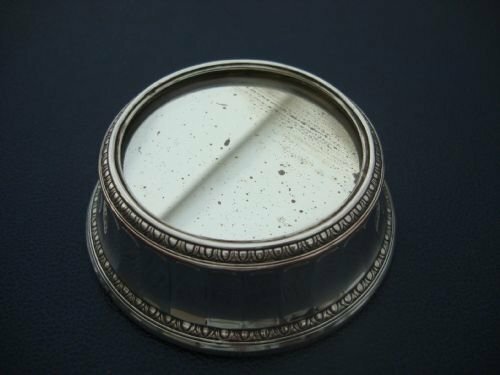 1927 registered, Elkington silver plate unusual small mirror plateau. 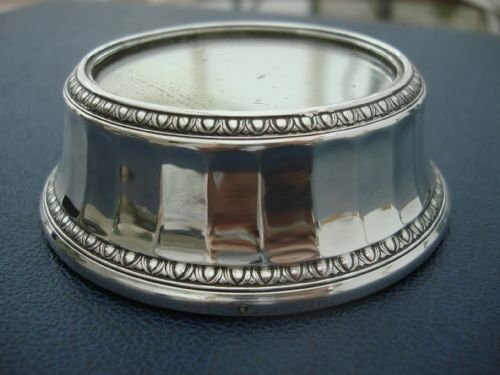 Very unusual silver plate small mirrored plateau stand made by Elkington Company, famous makers of silver plate, in 1927. Elkington is one of the few plate manufacturers that uses an annual dating system, just like the hallmark system. 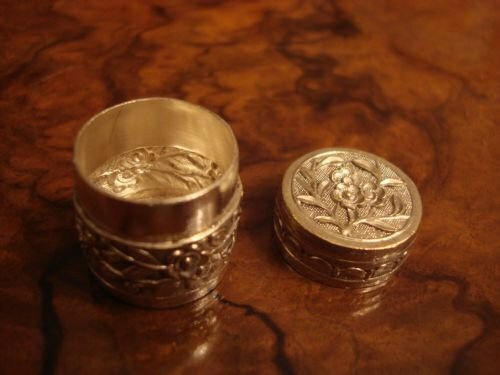 The stand is bevelled on the sides, tapering from top to bottom, and has a leaf design on bands to top and bottom. The original mirror has some silvered spots. Size-3.5 inches diameter by 1.25 inches high. 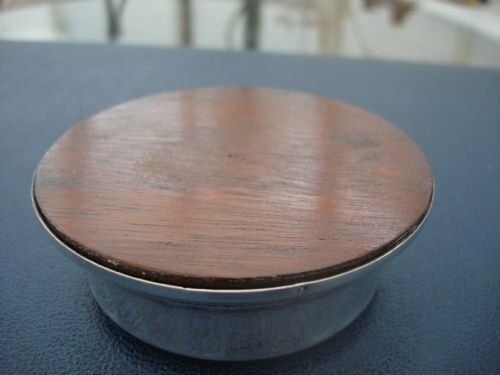 The interior mirror area measures 2 3/8 inches diameter. There are some very minor signs of plate wear. 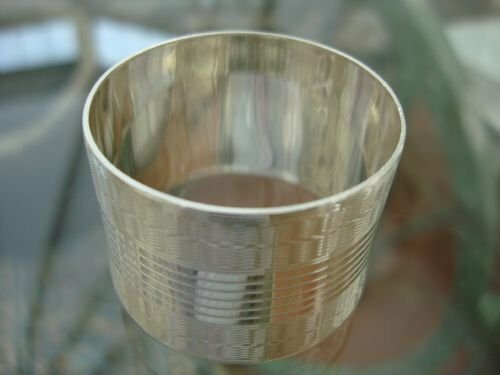 This is a really lovely and unusual piece which could be used to display and complement a glass or silver collectable, or to display a piece of jewellery perhaps. In very good overall condition, and made by most famous maker. 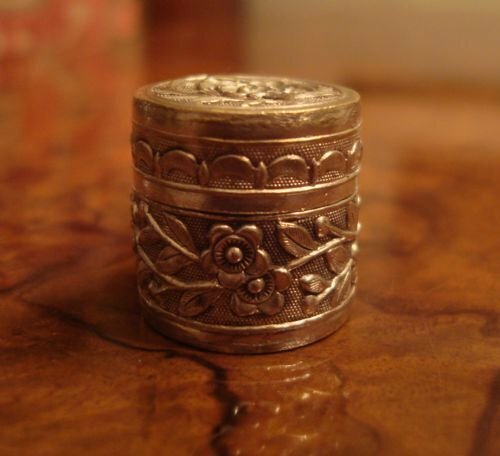 Very charming silver plate circular pill or patch box. Very attractive small circular silver plate pill box or patch box with beautiful matt and polished repousse foliate and scallop design, and secure fitting lift off lid. Size-approximately 7/8 inches diameter by 7/8 inches high. A charming and unusual box to keep in handbag or pocket, or add to a collection, in very good condition. 19thC Victorian silver plate and ivory bread fork. 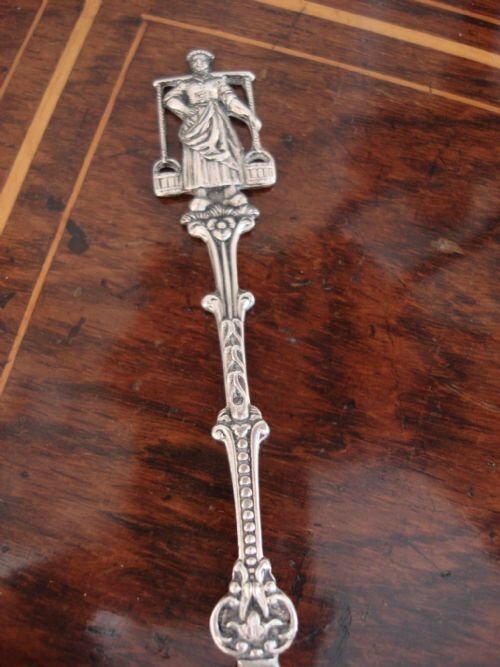 19th century Victorian silver plate and ivory handled bread fork. An elegant fork with double struck embossed design to the silver plate, and a carved and waisted ivory handle. Now used to serve cold meat, cheese and other foods. A lovely example, with a beautiful patina to the ivory. Size-8.75 inches long by 1.5 inches wide. A lovely and very functional piece in very good condition. Very good quality large silver plate serving fork. Very good quality large silverplate serving fork with pretty grass design engraved to tine end and shaped double struck stem with shell terminal. Shell also on reverse on heel. Size-9 inches long by 2.25 inches wide. In very good condition, this is a very pretty and useful serving fork. 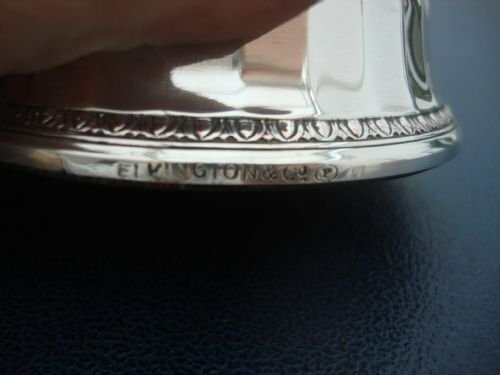 1933 date lettered divided silver plate dish by famous makers ELKINGTON AND CO. Dated with Elkington date code for 1933, a very good quality divided dish by famous maker Elkington and Co. Very heavy at 400 grams, this very well crafted dish has divided compartments, and gadrooned edges. A very functional dish in very good condition by excellent makers. Late 19th century Dutch silver plate spoon. 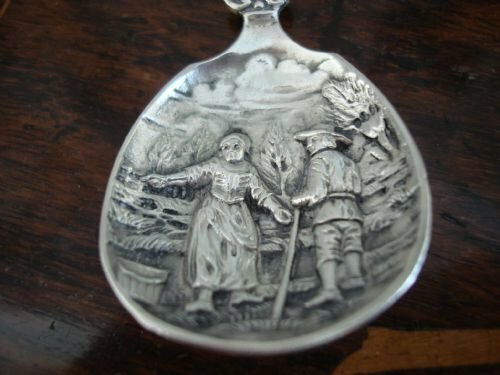 Late 19th century Dutch ornate silver plate spoon with decoration of milk maid to stem and harvesters standing proud of the bowl. 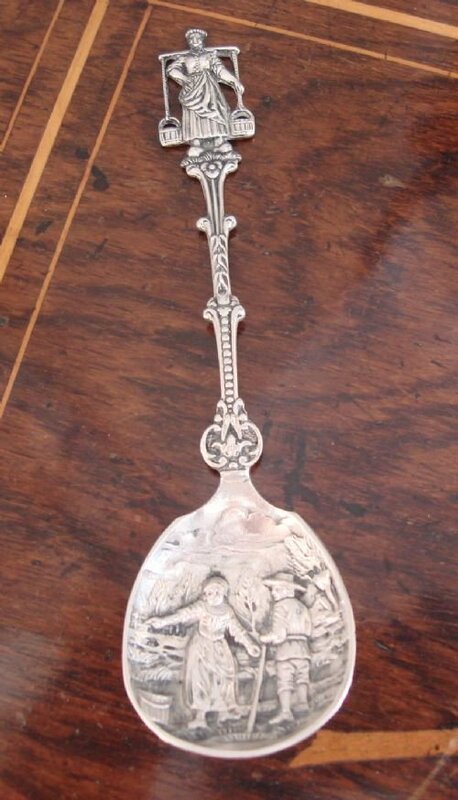 An attractive spoon to use for jam, preserves, relishes etc. 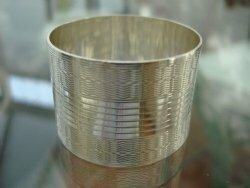 Size-5.25 inches long by 1 3/8 inches wide. 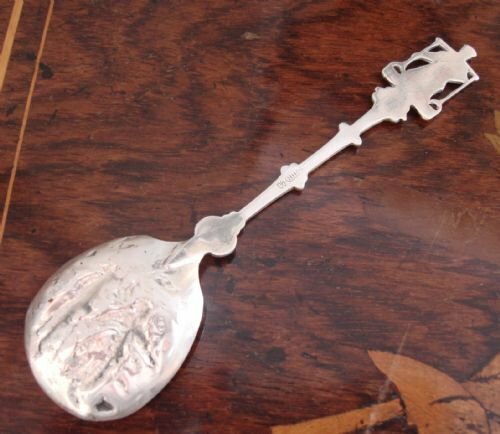 An attractive spoon in very good condition, and a good value. A fork in the same pattern is available if desired. 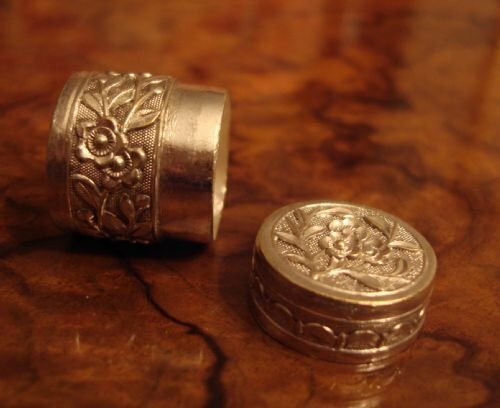 Early 20th century silver plate napkin ring with all over engraved pattern. 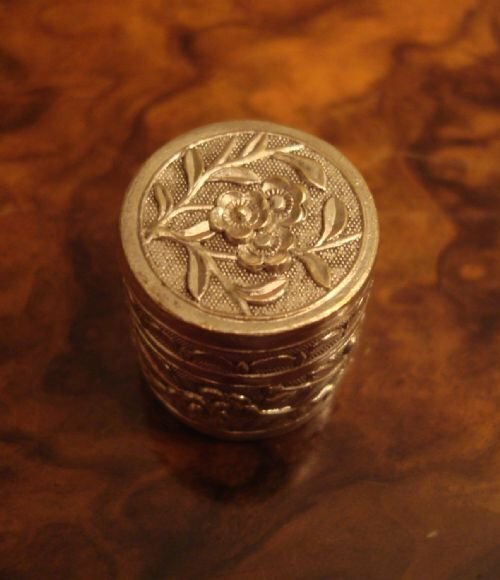 Early 20th century silver plate circular napkin ring with all over engraving. Very attractive. Size-1 1/8 inches diameter by 1 1/8 inches high. In very good condition and a good value. This is suitable for a mixed collection for the dining table, or a lovely gift to commemorate an important occasion. Many other solid silver napkin rings, including pairs and more, are in stock. Please check listings on www.serpentineantiques.co.uk. 20th century silver plate circular napkin ring of plain design. 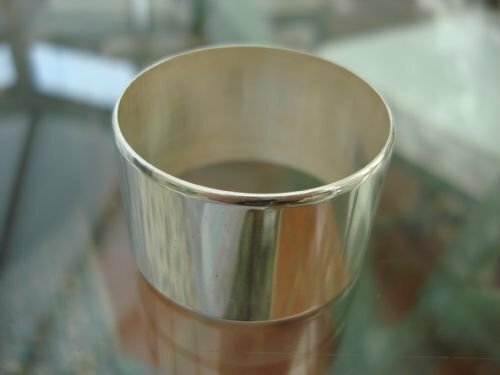 20th century silver plate napkin ring with plain design and bevelled edge. Size-1 5/8 inches diameter by 1 inch high. In very good condition, and a great value. 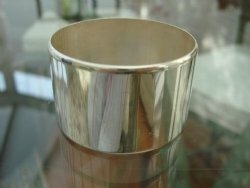 It is suitable for a mixed collection for the dining table, or a lovely gift to commemorate an important occasion. Impressive circa 1820 large pair of Old Sheffield plate candleabra in excellent condition, with cast and applied floral and leaf decoration. Two branches for candles, and the centre torch finial can be removed for a third candle. Or, the entire top section can be removed allowing a pair of tall candlesticks. Very versatile pair. A lovely addition to the table. Size 24 inches high by 17.5 inches wide. Early 20th century mahogany table canteen containing 155 pieces of silverplate cutlery in the Kings pattern, mainly by famous makers Walker and Hall, comprising:19 dinner forks, 15 dinner knives, 15 lunch forks, 15 lunch knives, 9 fruit knives, 15 dessert spoons, 9 soup spoons, 12 fruit spoons, 10 fish forks, 9 fish knives, 12 teaspoons, 10 tablespoons, sugar tongs, 2 sauce ladles, long handled mustard spoon, and cake slice, in two fitted drawers. Table includes fitted glass top and original key, making a wonderful side or serving table. Size 29 inches wide by 18 inches deep by 30.5 inches high. A very large service, in very good condition.